For this project spotlight, we focus on a cabin located deep within the forest of the Canadian Shield. 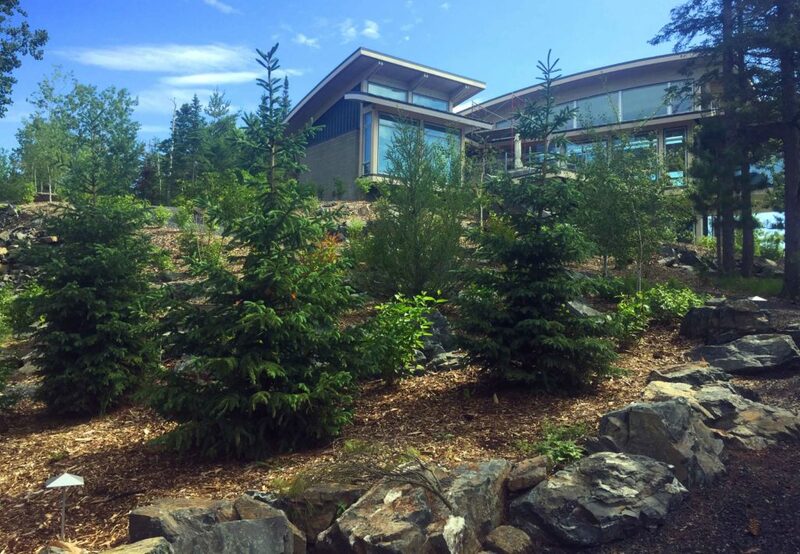 Due to recent construction, this project allowed for the complete transformation of a rubble filled site to an amazing landscape that intended to reflect the breath taking environment surrounding it. We often challenge ourselves to discover new and innovative landscape design and construction practices. For this particular project, working on such a steep slope proved to be a challenge. 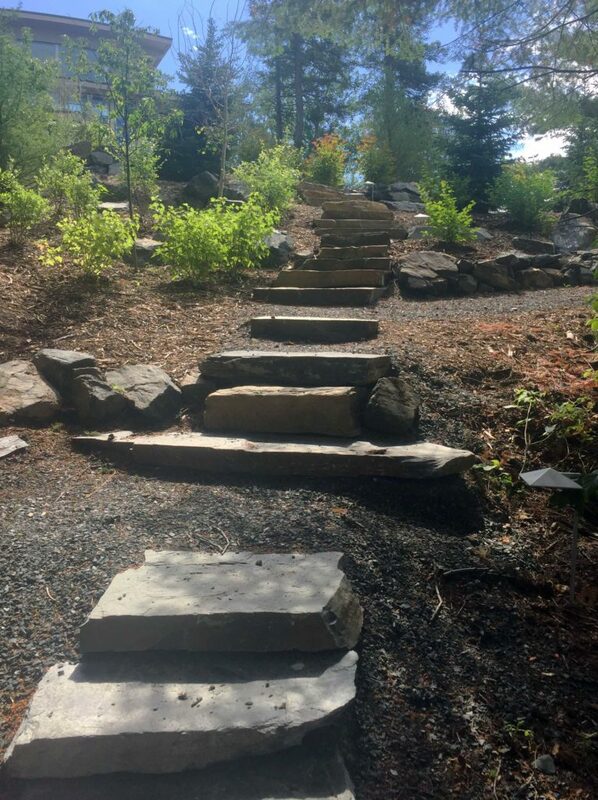 Using large stone steps and boulders, we were able to terrace the existing landscape, creating flat areas throughout the property to help ease the walk up and down. As mentioned previously, the design was intended to reflect the surrounding environment at every scale possible. 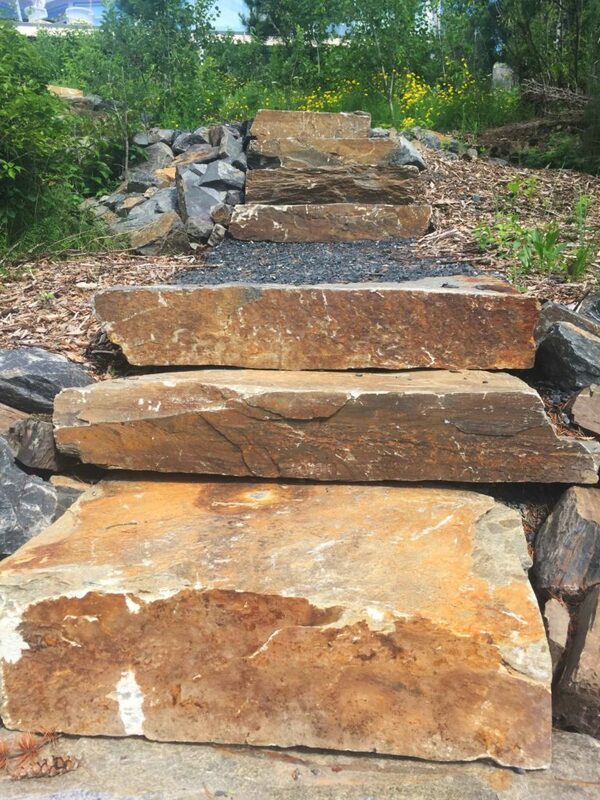 A major characteristic throughout this project was the use of large granite steps and boulders. The large Granite stones were mined from a nearby local quarry and act a constant reminder to the absolute beauty of the Canadian Shield. The native vegetation of the surrounding area was another key aspect to the project. Every plant chosen was native to the existing landscape. The newly terraced areas allowed for more space and a wider variety of plantings to occur. Familiar plant species such as the Spruce tree were planted throughout the landscape. This helped create a balance between the existing and the new as well as creating an overall smooth transition.